This is an Argo Online quest guide to help new players get through the starting area on the Floresslah side, to help you get out of the tutorial and into the town of Kelloare. There are also additional tips for the few adventure quests along the way. When you first enter the game you will be in the Barracks of preparation. You will need to talk to your Class helper to get started and take on your first quest. All the helpers are different depending on what class you choose in the beginning of the game, so find the one with the green gem over their head and talk to them. This guide will refer to your Class helper as your “Mentor”. Your main task will be to complete the coming-of-age ceremony. You will be given a few items to help you out in battle, such as a few healing bandages and a basic weapon. Make sure to equip all your weapons by pressing “I” and right clicking them to equip it. Talk to your mentor again and they will give you a choice in what you want to be, these options will determine which bucket you will receive later. The choices boil down to “Speed”, which will give you the Dash valve to move faster; “Defense”, which will give you the defense valve; or “Power”, which will give you the strength valve. Don’t worry about which one you pick now because you will get a new bucket later with more options. The valves are like custom buffs that you can activate for your character. I would recommend getting the speed valve first to travel faster to get out of the starting area as fast as you can. You can activate the valve by pressing the valve button at the bottom right corner, or assigning a hotkey to it. After you are done talking you will be given your first mission. 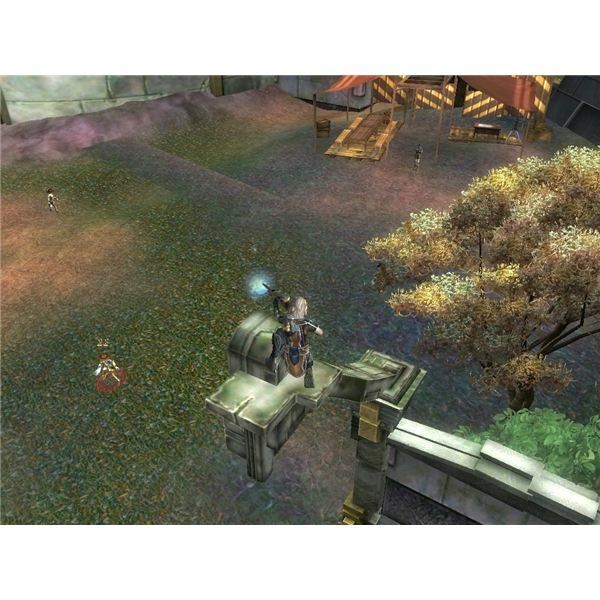 Your task will be to kill the wind plain Canis and gain five of their claws, this is a classic MMO mob grinding mission. The monsters are just south of your Mentor. They are also fairly easy to kill so you shouldn’t have any problems with defeating them. 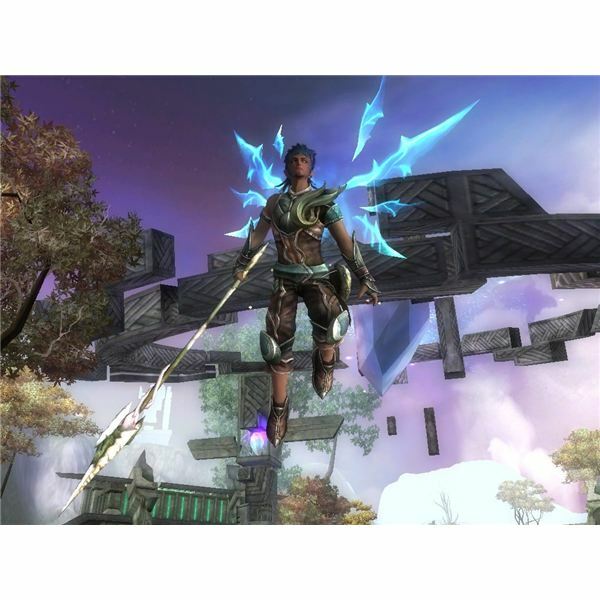 Once you have the items talk to Yireseu Aenkalraim, who is located in the barracks of examination to complete the quest. If you don’t know where the barracks of examination is then just check your map to see where it is located, there will be a mark pointing you to where you need to go. The examination barracks are a bit south east from where you start. After you finish talking to Yireseu you will be given your bucket (the one you chose earlier). You will also be given some ore to power the bucket, and a few HP and MP potions as well. Don’t forget to equip all your new gear. Now talk to Yireseu again to gain your level 2 quests; taking the tests of wisdom and strength. She will sing you a song and your job is to find out where that place is she is talking about. Lucky for you I will just tell you where it is. Follow the quest arrows towards the east of the map towards the barracks of wisdom and strength. Before you leave the current area, find and talk to Zephyr Perenis, he isn’t far from Yireseu. He needs you to deliver a Garuda accelerator to Panadon Ermes. This quest is pretty easy because it is on the way to where we are headed. Panadon is standing on the road right near the barracks of preparation on the west side, near where you started. Once you talk to him you will complete the quest and will be given some adventure points. Talk to him again and he will give you a quest to deliver the now fixed Garuda accelerator to Pandera Moros, who is standing right next to Ordeuah Ridek (This is located in the Barracks of wisdom strength), talk to her to complete the mission. If you talk to her one more time you will be given a new quest to talk to Eoh Shrion, but we will complete this one later. The way the adventure quests are set up you will be able to complete them all at exactly the same time as the main quests. Now back to our task given by Yireseu. When you get to the barracks of wisdom and strength you will have to kill six disguised Floresslah, they are located just outside of the camp, you can’t miss them because you will run by them as you head towards the barracks. They are just as easy as the canis so you shouldn’t have a problem killing them. Once all of the disguised floresslah are dead, talk to Ordeuah Ridek (the guy standing next to Pandera) to complete the quest. You can’t miss him; he is right inside the camp. Your next task is the test of responsibility, so talk to Ordeuah again. He will ask you to deliver a box of Earthdium supply boxes to Arwen Selebreen to test your responsibility. This is a very simple task to complete. The boxes are just to your left on the west path; follow it around until you see some Warden guys standing guard. The boxes are just past the Wardens under the tents, take three of the boxes. You don’t have to kill anyone to complete the quest. Now follow the path up north to Arwen and talk to her to gain some new boots as a reward. If the Wardens attack you just kill them to move on. After you are done talking to her, talk to her once more to gain your next task. She will ask you to go report to Yiena Daheu, who is just south of the barracks of examination. So just head east from where you are, the roads will connect and you should see her standing there. When you get there, talk to her to complete the quests of wisdom, strength, and responsibility and gain your reward. This will move you on to your next quest. Your next task is to deliver a scroll to Siria Amain who is in the tent of light located to the far east of the map. Fight your way through the enemy mobs and talk to her. Now if you followed the guide, you can also talk to Eoh Shrion, who is standing nearby to complete your adventure quest from earlier. Talking to her again will give you a new adventure quest to talk to a Meredin dreamer, but we will get to that one later. For now just leave it in your quest log. First carry out Siria’s quest to eliminate the wandering anima near the camp. She wants you to head over to the pond and kill the Pond thorn Mokima and collect the little shining stones they drop. The monsters are easy to find because they are literally right next to the camp, and they are extremely easy to solo and kill. Collect the five shards they automatically drop and your character picks up, then return back to Siria. When you are done talk to Siria once more to gain a certificate of leadership and the certificate of harmony and balance. She will ask you to give the certificates to Ohkinopi Jiwoosepe, who is located at the entrance of the Molting training camp for your last and final test. Ohkiniopi is just south west from the tent of light, standing at the entrance of the Molting training camp. Talk to him to gain your final test. While you are here, talk to the Meredin dreamer who is standing next to Ohkiniopi to complete your adventure quest from earlier. Now it's time to go steal the Floresslah’s plans to complete the last test in the coming-of-age ceremony. Your job is to storm the training fortress and gain the items you need while eliminating the test givers and trainers. The Floresslah secret plans are located on top of the west buildings roof, but you can’t get up there by bucket jumping, you have to run around and find the path. Everything else is pretty easy to do. The trainer and test givers are all the enemies you see running around you, just kill the ones that get aggravated and make your way to the west buildings roof to get the Floresslah’s plans. The other enemy’s orders randomly drop from killing the trainers so it may take some time to get them all, but I should also say that you will automatically pick them up when they do drop, so you don’t have to look for them. Once you have all the items you need and all the trainers and test givers are killed, report back to Ohkiniopi to complete your final task and gain the Overcomer old bucket. If you talk to Ohkinipoi again he will give you a quest to talk to Senior Ahkilri Savitos in Kelloare to give her your coming-of-age certificate, but you're not going to go there just yet. Talk to the Median dreamer one more time to gain the quest to find her journal. The journal is easy to find so this should be a breeze. Go back into the training camp that is just in front of you and go to your right, you should see a platform with some enemies shooting down at you. Jump up on the platform and get the journal that is behind the bad guys. If you can’t get on the platform turn your bucket on and double jump up. Once you have the journal return it back to the dreamer to complete the quest. Talk to her one more time to gain a quest to go to Kelloare and talk to Andray Rosen. It’s a good thing you got this quest now because you were just on your way there. Take the path leading south towards Kelloare city, you will soon see a man standing on the side of the road named Agreas Toreo, talk to him to gain the quest to greet his younger sibling in Kelloare. Follow the path to the large gate and turn left at its entrance. There you will see Andray Rosen, talk to him to complete the dreamer’s final quest. When you first set foot in Kelloare you will see Ahkiliri standing at the front of the town’s square, talk to her to complete Ohkinipoi’s quest. If you go left from Ahkiliri you will see Agreas Rinia standing on the side of the road, talk to her to complete Agreas Toreo’s quest and gain a Dori Dori box. Congratulations, you have just completed the entire series of starter quests in the Floresslah’s tutorial zone! Hopefully this guide helped you out a bit. You can find more guides, quest walkthroughs and class tutorials right here at Bright Hub.